When it comes to double glazing windows in any building, the joys of having such fittings in your home are coupled with the existence of an array of options. This give you room to find something that will work, not only in terms of the design of the building, but also the conditions of your location. Nevertheless, to narrow down your options and pick the ideal window, you need to have information based on the diversities in style of windows that will work for a particular objective. That said, the bottom line, regardless of which style of double glazed windows you go for, is you get a product that is completely energy efficient. 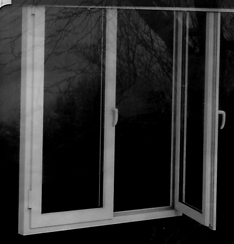 Why double glazing for windows? The first information you need to gather is about the overall design of these windows that support functional performance. Double glazing windows are an innovative product that uses two glass panes to create a window that looks like a single-paned window to the normal eye. The panes are fixed together with a small gap in between. This gap is filled with a special gas and then tightly sealed. The trapped air in the gap creates a vacuum that will aid in the regulation of heat within a building. The construction of double glazing windows is neat and tight to ensure that the panes are firm, the trapped air is not lost, and the windows look like a normal paned fitting. Double glazing the windows creates two panes, which are standard glass panes. They are further enhanced with the air-filled space between them, which is the main feature that gives the glazed windows a leverage of function over standard single-paned windows. Before putting in the gas, a special chemical is used that dries any moisture trapped in the space. Moisture will destabilize the condensation in the space and will at times make double glazing windows have a horrid look that cannot be cleaned off. Moisture also tampers with the windows’ ability to regulate heat. If you are looking for a good double glazing window installation, it is better to choose professional installers who know what they are doing. The gas used ranges from argon, krypton, and other gases. Argon takes the lead of favored gas for double glazing windows because of its excellent thermal performance when compared to other gases; add to that, it is also a cheap option. What are the top features of double glazing? While the regulation of temperature may be the top feature of a double glazed window, it also plays a role in the regulation of light in the home or building. To achieve this, you should focus on the type of glass panes used to make the windows. Again, this is where the service of a professional installer will come in handy, as they can give you options on the glass to be used. Another feature that may be worth a second consideration is the design of the windows. These have to complement that of your home or building. Getting the right double glazing windows is important to ensure that they will not face any damage during or after installation. The size and style of window also matters. At the end of the day, you still need to fit something that adds flair and beauty to the building while giving maximum heat control, and double glazing windows will do the trick. Jane Karen has written a wide variety of articles on the home improvement niche for the last 4 years. She has done extensive research on the benefits of installing double glazing windows.